This is a week for my making the scene! That is for sure. For months and months all I do is sit like a hermit and work on my book, but sometimes circumstances cannot be helped and I have to leave the house. It is my job! Lastnight I went with my brother George to Kleinhans Music Hall to catch the farewell tour of the great Guarneri Quartet. As George said it is like the Rolling Stones' "Steel Wheels" tour. 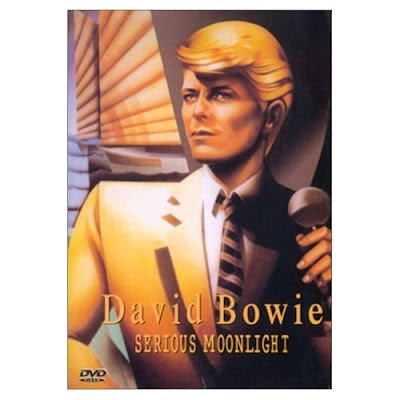 What about David Bowie and the "Serious Moonlight" tour? On the way to Kleinhans George and I agreed that was the best name any tour ever had. The '80s, you could not beat that decade. When we got to Kleinhans we saw to our astonishment that chairs had been set up on stage. Did this mean we could sit there? We asked the ushers, unable to believe our luck. No one seemed to know. But then we saw this kid sitting on stage with jeans and a loud striped '70s sweater. If he could sit on stage, clearly we could! So we sat down. We are not shy! I am sometimes shy on my own but not when I am with George. When the musicians came out it was embarrassing because you could tell they were surprised to see us. The violist, the great Michael Tree, stopped and stared right at us. When I was a teenager, I remember sitting on my bed, listening to my Guarneri three-record set of the six quartets Mozart dedicated to Haydn. I would sit there for hours and hours, with the jacket in my lap. Now here I was two feet from them, on stage at Kleinhans Music Hall in the Mary Seaton Room, with Michael Tree and me looking at each other. The concert was wonderful although it took me till halfway through the Haydn to be able to relax a little bit. There is an art to sitting on stage listening. You do not want to do one thing that will distract the audience. You cannot tap your feet or sway or anything else you might do in the seats. When I listen in the seats I am a big smiler. I find myself grinning when the music gets exciting and I get caught up in it. But on stage I wanted to do nothing that would call attention to myself so I kept my face as still as I could. At intermission we yukked it up with the musicians. That is my friend Peter on the left and the Guarneri's leader, Arnold Steinhardt, on the right, laughing at our jokes! Second from the left is the great violist Michael Tree. At the top of this post you can see me on the left in my pink sweater which I bought at the Goodwill in San Diego when I was there with Leonard Pennario. Ha, ha! These pictures are pathetic! The poorer the quality of the pictures, the better time you are having, is what I always say. Normally I am not a backstage person. I do not go backstage even when I am invited, let alone when I am not invited which, lastnight, I was not. But lastnight my friend Peter dragged me. He had brought along some Guarneri LPs he wanted to get signed. I fretted to Peter that maybe the Guarneri would not want to be disturbed at intermission. "Wouldn't it be better to wait until after the concert is over?" I asked. "No, they'll run out right after the concert. I know these guys," Peter said. "Come on. Let's go." So I followed him. But luckily I had the presence of mind to stop first and photograph these phones I saw backstage. Can you believe these phones? They are classic! Next I snapped this picture of Arnold Steinhardt's violin case. Isn't that beautiful? I love how great musicians are inspired by other great musicians. They take their place in the chain of history seriously. The picture on the left is of Fritz Kreisler and next to him is Pennario's friend Jascha Heifetz. Which reminds me, the best thing about meeting the Guarneri is that Arnold Steinhardt asked me about Pennario. My brother George who is not shy told him that I am Pennario's authorized biographer. Arnold Steinhardt said he got to meet Pennario once, in California. George and I loved how he talked about Pennario as if Pennario were God. Then Steinhardt actually asked me how I met Pennario. That is a question nobody asks! Delighted and shocked, I totally garbled my answer. It was almost as bad as with Emmanuel Pahud the other day. That is how bad it was. But the show must go on and the concert continued. One other benefit of being on stage with the band, when they played an encore and I was not sure which Mozart it was, I got to walk over the music stands afterward and check. Ah! Kochel 169! Should the spirit move you, you can read my insightful and erudite account of the concert here. I told you, it is my job! Oh my goodness! What an amazing night you had. And I loved the review. The way it all was written up just took me there in my mind's eye. Your writting style is magnificent!